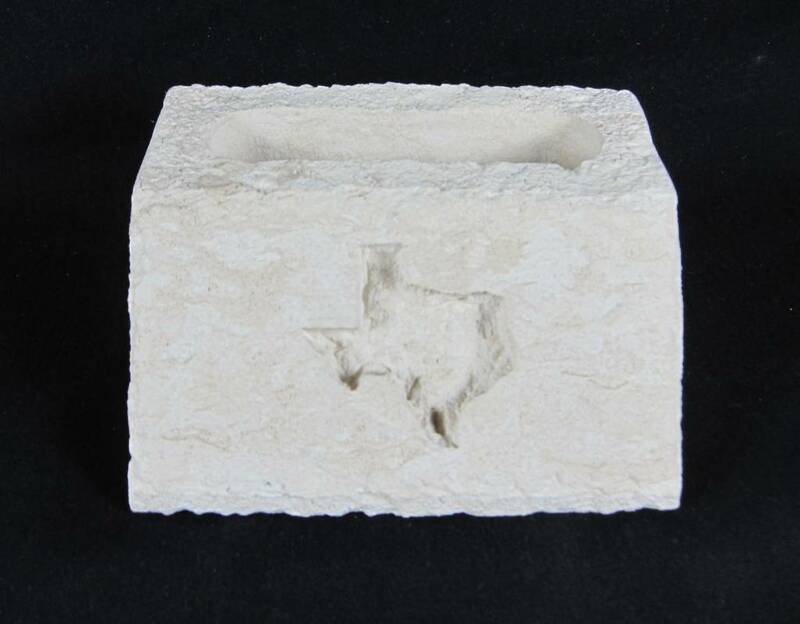 Limestone Texas in display card holder is cut into the shape of an "L" with a smooth sanded finish and a gentle cleft edge. The Texas is carved in the front. This card holder has adequate space for cards to be easily displayed. Approx. 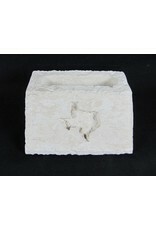 size: 3-3/4" wide x 2-1/2" depth.